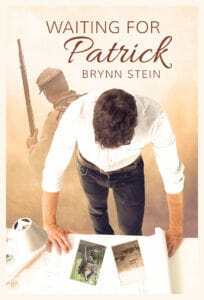 Author Brynn Stein is on a blog tour with her latest release Waiting for Patrick and I’d love to extend a very cheerful welcome! 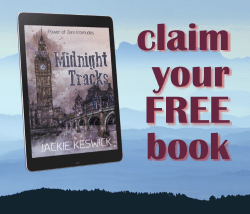 Check out the book, read an excerpt and leave a comment here or at one of Brynn’s other tour stops for the chance to win a signed copy, one electronic copy, and a choice of one title from Brynn’s backlist. Waiting for Patrick will be available at a discounted price throughout the tour (September 1 through 15). Winners of the raffle will be announced on September 16th. Ben is a ghost from the Civil War who talks to Elliot in this dreams. 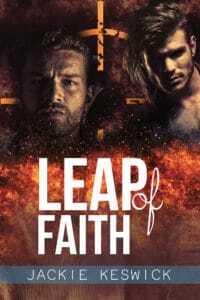 At the time of this excerpt, Elliot doesn’t really know what’s going on when he starts to get vivid dreams of two men in the Civil War (Ben and his soulmate, Patrick) from Ben’s POV. Elliot eventually made it back to his house, worked some more on designs and plans, and called a few more contractors. Sheri called at some point, and Elliot talked to her for almost an hour. Finally he simply couldn’t hold his eyes open anymore, so he dragged himself upstairs and fell into bed. We’ve just finished a tight scratch with a group of Rebels. For a while there, I wouldn’t have warranted being able to get out alive. But our reinforcements got there first, and we sent those graybacks running as if Sam Hill himself was chasing them. Then we fell back to find some diggings for the night. We’re relatively safe now. We’ve found a covert in a thicket of trees. Patrick and I are sitting on our bedrolls, playing cards like we often do when there’s not a battle. We get along well with the other recruits, but we prefer to be with each other. It’s always been that way. When we were in high school, we’d often spend time alone in the tree fort we had in the woods behind my house. A big old oak tree that must have been hundreds of years old. It was there that I had my first kiss. I had never wanted to kiss a girl like all the other boys in my class did, like Samuel did. But I had wanted to kiss Patrick for a long time. We were in the tree fort one afternoon, and I had stolen the journal he always wrote in and threatened to read it. He got upset and tackled me to the floor. We rolled around for a while with me holding the journal out and him trying to get it. Finally I offered it up to him as I lay on my back on the floor, with him lying on top of me trying to reach it. “Why is it so important that I not read it?” I was truly puzzled. “We tell each other everything.” His face turned red in that way that only a redhead’s can. Freckles standing out so bad they looked like they were going to jump off his face. Even his ears turned red. He finally looked away. “Don’t we?” I asked, now almost positive that apparently we didn’t. “Not everything.” He forced himself to look back at me. I could tell he didn’t want to face me. “What aren’t you telling me?” I was confused and a little hurt. I told him everything. Well, almost everything. Okay, there was one thing I hadn’t told him. He met my eyes and slowly moved his face closer to mine. “This,” he said, a moment before our lips touched. It was a chaste kiss, dry, quick… wonderful. His eyes danced with happiness, and he brought his mouth to mine again. This time it wasn’t chaste. It wasn’t dry. But it was still wonderful. He licked my lips, asking for permission to come inside. I had never kissed anyone before but it felt so good, I opened them a little and he slipped his tongue in. He licked and teased the inside of my mouth. His tongue tasted the roof of my mouth, brushing against my teeth, licking my lips, tangling with my own tongue. He finally started sucking a little and I thought my head was going to explode, it felt so good. I couldn’t catch my breath, but I couldn’t get enough of him. I never wanted to stop doing what we were doing right then. Before long though, he pulled back and looked down into my eyes. “I was so afraid you didn’t feel the same way,” he admitted. Congrats on your new book! It sounds like a interesting read. What a great tour. I had a ball. Thanks again to all the blog owners who hosted me. It took me longer than I thought it would to check everything one more time and draw winners, but at last, here are the winning names. I’ll be contacting the winners via email shortly. If you are one of the abovementioned people but have not heard from me by tomorrow morning, please contact me at brynnstein2@gmail.com to arrange for delivery of your prize.